Book Club (Eventually) Discusses Americanah. I realize now that if I were to leave here, I would have to find a new book club. I've been a party of this particular book club for years now, and while the membership is always in flux, a couple of friends and I have been constants. We are different ages at different stages of life--some with pre-school children and others with grandchildren. What we have in common is enjoyment of the social aspects of reading: book talk. The most difficult part of our particular group is that, while we try to maintain a consistent schedule, out lives don't lend themselves to regularity. 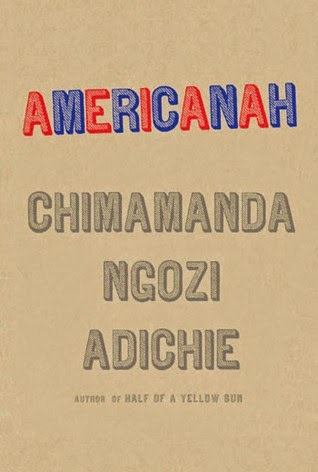 We chose Adichie's novel Americanah in November (for discussion in December) after I attended a particular interesting and rousing session at the North Carolina Writers Network Conference in Charlotte in the fall. Because of the hectic holiday season, we didn't actually meet to discuss the book until this week. Those of us who had read the book (and we all know some folks never quite finish) had to review before our discussion. I see this as a problem occasionally in my own classroom. The eager beaver students who read the supplementary novel on the syllabus the first week are far removed from that reading by the time we get to our class discussion. That's why I always recommend (1. keeping notes in some kind of reading journal--or all over the book, my personal preference); (2. brush up before the discussion date. We had all done a little brushing up, although we often referred to the boyfriends of Ifemelu, the female protagonist, as "the rich white guy" or the African-American professor. All of us, though, were interested in the way Adichie, Nigerian herself, like her two main characters, dealt directly with issues of race in the United States--from the perspective of an Non-American Black. The most gut-wrenching part of the tale occurs when Obinze gets to England (instead of American, the destination for which he longs) but overstays his visa. The frustration builds as he tries to find work and to evade deportation, with all those purporting to help him taking advantage of him and extorting money from him. Adichie left me uncertain how Obinze eventually achieves success in his homeland, but throughout the novel, she implies that most wealth comes through help at high level and that it can be lost without warning, evidenced by Ifemelu's aunt who loses her home and lifestyle upon the death of "the General," the married man, who has supported her and fathers her son Dike. While the ending of the novel would play well at the cinema, I didn't find it as satisfying or tidy as it might appear--but in that way, Adichie provides much for discussion at book club! Nothing tests the old cliche "Opposites attract" like a story of the search for love (see The Rosie Project)--unless it's a story of love gone awry. Several of the novels I've read in recent days or months take the romantic comedy approach to plot: Take one geeky scientist and introduce him to a knockout gorgeous artist--fireworks with the potential explosion OR fizzle. 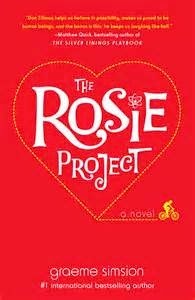 In The Rosie Project, Graeme Simsion (scientist-turned author-turned TED talker) produced a tender, laugh-out-loud love story charming enough that more than one fellow reader I know pre-ordered the sequel just out, The Rosie Effect. We do love to see love work out. 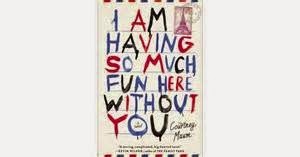 In I Am Having So Much Fun Here Without You, Courtney Maum reverses the formula, starting with a British artist (male) who falls in love and marries a beautiful French woman--then when parenthood cools the relationship, he cheats--quite clumsily. The plot, during which he is banished by his wife, who goes to her parents' home, send Richard back home to England, where he strikes up an unlikely friendship with a happily married stranger he meets in transit and then spends time observing the lovely, lasting marriage of his own parents. Along the way, he find artistic direction, breaking out of the commercially successful but unfulfilling body of work he has been producing--his "keyhole paintings" to direct his efforts toward work with more political umph--while plotting to win back his wife. 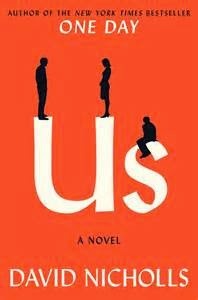 David Nicholls' current bestseller Us opens with a family about to take the Grand Tour of Europe upon their son's graduation from high school, just as the wife Connie--an artist who has turned her back on her own work to do museum education--tells her scientist nerd husband that she doesn't think their marriage is working. But she still wants to take the European trip. Moving back and forth between the past and present, Nicholls reveals how this unlikely pair ended up together and explores Douglas Peterson's troubling relationship with their son Albie, a sullen boy who never actually wanted to take the trip at all. Again, the story focuses on Douglas's attempt to repair the damage he realizes he has caused--launching him into an almost impossible mission. All three books--and many like them--leave me rooting for the protagonist, generally a great bumbler, just hoping to capitalize on the fortunate luck that might lead to love or else recapture what led to it in the first place. While I spend a lot of time reading literature set in faraway places and long ago times, something feels right when I read a book that takes me to a familiar place. Shari Smith's memoir I Am a Town from River's Edge Media is a collection of stories that intertwine her own life with those of the good people (and even some not-so-good) in Claremont, North Carolina, her adopted hometown for many years. 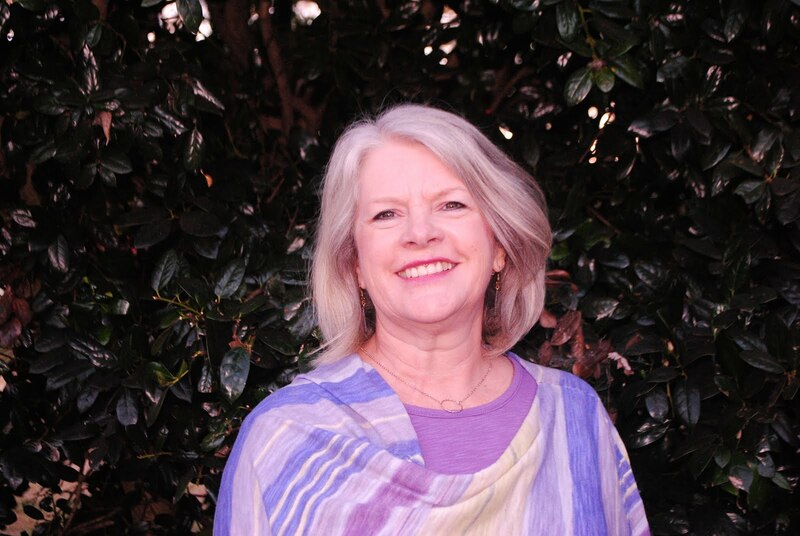 Since I have lived just a few miles from Claremont--first in Granite Falls and then Hickory--for twenty years now, reading the book felt like memory, even though she's writing about her life and her people, not mine. I'll admit, sometimes as she names names, they are my people too, especially when she mentions some of the local musicians--Reggie and Ryan Harris, Jaret Carter, Michael Reno Harrell. The other characters, though, feel like people I know, have known.These are the people you meet in a small town if you take the time to sit down and listen. Smith has done just that; she's paid attention to everyone from the Police Chief to man at the grill and the one-at-a-time-thank-you town drunk. When I teach composition and literature, I like to talk about writing style. Students understand music style and clothing style. They sometimes have a harder time understanding writing style, so I like to highlight certain writers. Along with the obvious classics, I like to share writing by Tim O'Brien (the writer, not the musician), David Sedaris, and others who have a distinct voice. Reading Shari Smith's writing feels like listening to her talking. Her diction, her knack for details rings true. She opens the book by recalling the day fire destroyed the house she loved, turning her focus to all the people of the town who came to help, to comfort. Chapter by chapter, she brings individuals to life--the boys at the back table at the cafe, the owner, the cook who talks to no one but her, Rev. Col. Russell Boggs of St. Mark's Lutheran Church, who insisted Smith speak at his funeral, read something from To Kill a Mockingbird and be funny. I Am a Town kept hitting almost all my buttons. I didn't think anyone else loved Harper Lee's one perfect novel as much as I did; I may have met my match. Her enthusiasm that brought Rick Bragg to town to help raise money for a library were so familiar too. The clever, sometimes veiled allusions to books and music felt almost like a puzzle. Not only is the title a song reference, but many of the titles are as well: "Carolina Girl," "Money for Nothin'," "The People You Meet They All Seem to Know You, "The Speed of the Sound of Loneliness." Smith manages to invite readers into her life, introducing them to her son, her grown daughter and her family, her home and barn, to good dogs, great neighbors. She made me laugh out loud as she described the two Lutheran Churches on the same street with competing nativity scenes, and then she made me cry when she told about her son Walker and his friends getting up from a televised Tar Heels basketball game, washing the blue paint off their face to say goodbye to a friend who lived years longer than doctors predicted. Through the book, she makes no bones about her own beliefs and opinions, while treating those who disagree with more than tolerance, with respect and love. I wanted to stop reading, call my dad, and read aloud the chapter about guns. In fact, I had different chapters earmarked for different friends; I knew plenty of people I am telling, will tell to read this book. Read it right now. I am not sure how many years I have posted my list of books read in the prior year on New Years Day. I've kept the list in my little notebook much longer. I read awhile back that Art Garfunkel, a prolific reader himself, has kept a list of the books he's read since he was sixteen. I wish I had done the same. In fact, this year, along with books (and book gift cards), I gave my granddaughter Avery--about to turn nine--a little notebook where she can record what she reads. The record, which I maintain on my wall calendar, tells me much about my years. I read fewer books in January and February as a new school semester begins. My best reading month this year was May, particularly since I left town the morning after graduation ceremonies and headed to Dog Island, Florida, where no television or internet competed with books, allowing me to slough off the old school year. I notice that I read quite a variety, lots of poetry (probably more than I've listed here) and more nonfiction that I once read. My reading has taken me all over the world and back in time. I've laughed out loud (a lot) and cried just a little. I've stopped in the middle of a page to call or email someone I think should be reading the same book. I can't even wait to finish to be sure. 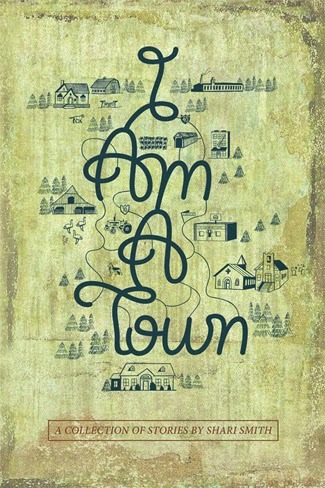 The one I'm reading right now, Shari Smith's I Am a Town, is just that kind of book. I have specific chapters earmarked for different people. When people ask for book suggestions, my answers vary according to the asker. Some books I know one friend will love, while it would leave other reading friends untouched. Right now I'm assembling piles to passel out (part of my plan for cleaning out the study). I can't usually give my books away, but I can send them on long journeys. I'll have much to say later about my Christmas gift books (every one perfect choices) and my other to-read list. For now, here's my list. I'd love to see yours too. 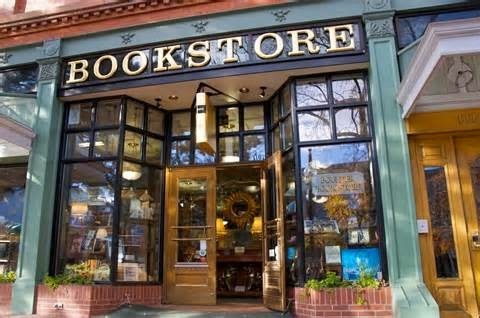 If you're still with me, you may find an imbedded link to the IndieBound Next List, my not-so-subtle hint that you support independent booksellers.